After reading and reviewing White Butterfly by Walter Mosley recently, I’ve gained a new appreciation and affinity for the mystery novel. 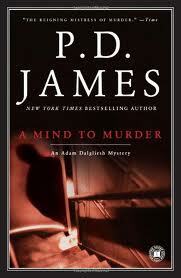 As a result, I’ve decided I will read an entire mystery series over the next year and post the reviews on the blog. I chose P.D. James’ Adam Dalgliesh novels as the series to read and if Cover Her Face is the beginning leg then I believe I’ve made the right choice. 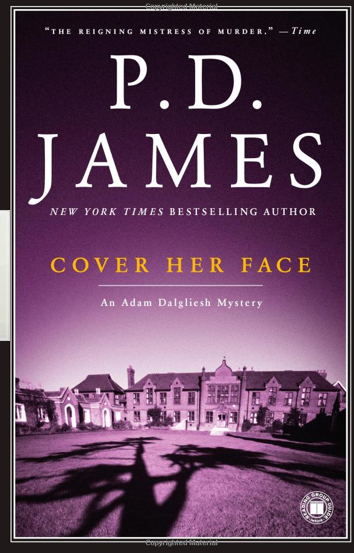 Cover Her Face is the first Adam Dalgliesh mystery and P.D. James’ first novel. It is a story of a young, vivacious, free-spirited woman named Sally Jupp who was murdered at an English country estate. Sally worked for the Maxie family who owned the estate and the rest of the novel is spent trying to figure out who killed her. One of the most interesting things I noticed in Cover Her Face was that Adam Dalgliesh didn’t dominate the novel. It felt like he was more of a guiding hand to make sure the story didn’t go off course. Dalgliesh doesn’t appear until Chapter Four and the way he interacted with the other characters seemed rather routine and matter-of-factly. However, I wasn’t put off by it and I’m wondering in later Dalgliesh mysteries if his personality will have more of a presence in those stories. The other interesting thing I noticed is that P.D. James can write beautifully descriptive narrative passages. While I wouldn’t put her in Mark Helprin’s class of writing beautifully, she can definitely hold her own and Cover Her Face read more like a literary novel than a mystery novel. Even though, Cover Her Face was published in 1962 it read like a valuable antique that has never gone out of style. I have added this book to the best novels I’ve read in 2012 (The Opposite of Art & The Book Thief).